Martha Stewart Pt 2: Corporate Criminal, or Feminine Role Model that was Wronged? Commentators concerned with matters of civil liberties and abuses of power by the government have cited Martha’s case as one where she was used by the US Justice Department as an example to the public; while letting offenders of a much greater magnitude, such as Kenneth Lay of Enron who sold off $80 million in company stock while telling his employees to keep buying. Many feminists are regarding the trial of Martha Stewart’s as an excessive-masculine government attack at a powerful (and basically benign) feminine figure. Of all publications, it was Ms. Magazine that came to her defense. The Sun in Cancer clearly highlights the idea that Martha Stewart embodies at some level the archetypal feminine mother goddess with her great nurturing power and focus on personal needs. Was the Stewart trial a not-to-subtle message from the government? Martha’s Ascendant ruler, Venus; is in regal, but magnanimous Leo in the eleventh house; again reinforcing her success and ability to receive the rewards of her career. Both Martha’s Sun and Venus, as important chart rulers; are well placed in the other varga charts (navamsha, dasamsha, etc. ); which gives Martha an overall positive factor. 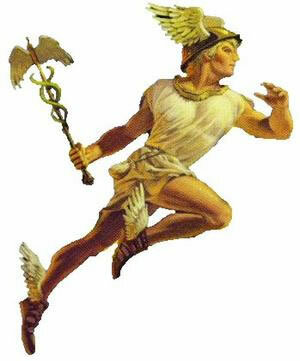 In Martha’s legal situation it is very important to take into account her prominent Sun in the tenth house of career success is also conjunct the twelfth house ruler, Mercury. The twelfth house influence is one of slander and conspiracies against oneself. In effect, Martha has the astrological signature of a “fall” from grace, but one possibly brought about maliciously by one’s enemies. Martha’s next sub-period commences in January 2005, that of the Moon. The Moon in Martha’s chart is somewhat afflicted by its position in the third house and its dispositor being in the eighth conjunct Saturn. The 2005 period, supposedly when an appeal is fully underway, does not look to be smooth sailing. Transiting Saturn (a malefic) moving through her tenth house of career and reputation in sidereal Cancer will not let anything come easy to Martha through 2006. Saturn only has two bindus in Cancer for Martha, and Saturn is intrinsically debased in Cancer anyway. Compared to Kenneth Lay’s millions, Martha Stewart’s $52,000 profit was miniscule; but the insider trading charge was dropped by the judge because there was no real evidence. What she was successfully indicted with was she was guilty of lying to a government official; ultimately the example made of here was the supremacy of the state. While Martha may have a lot of drive and determination, with Libra rising and its ruler in Leo I can’t see her as not having a basically pleasant, harmonious, and generous personality as well. Having Mars and Saturn in the twelfth in the navamsha (marriage) chart would also correspond to her difficulties in married life. Initially I am speaking of Martha’s Vimshottari dasas, the most widely used Vedic predictive period system; but I also use additional dasa systems to validate and refine predictions, as do other Vedic astrologers.